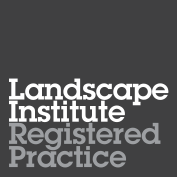 … an exemplar scheme, not just for the region but nationally. 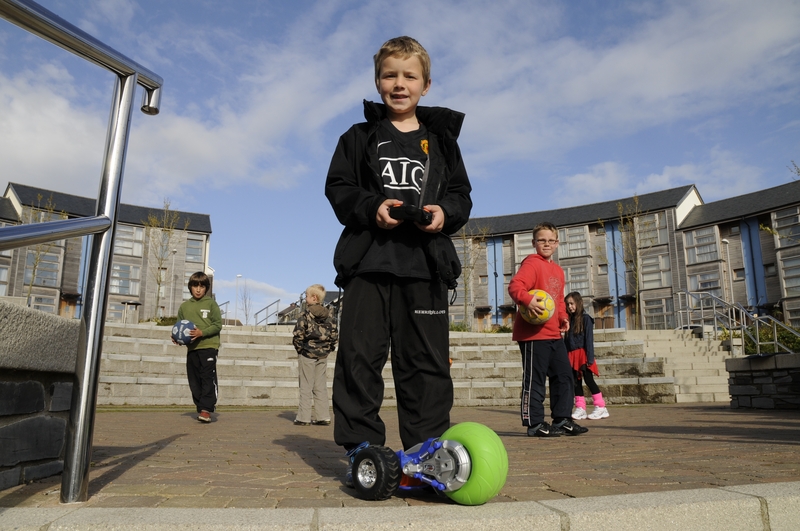 The Gun Wharf regeneration project aimed to support the long-term economic vibrancy of Devonport by creating a more sustainable, mixed-income community rather than a mono-tenure estate. 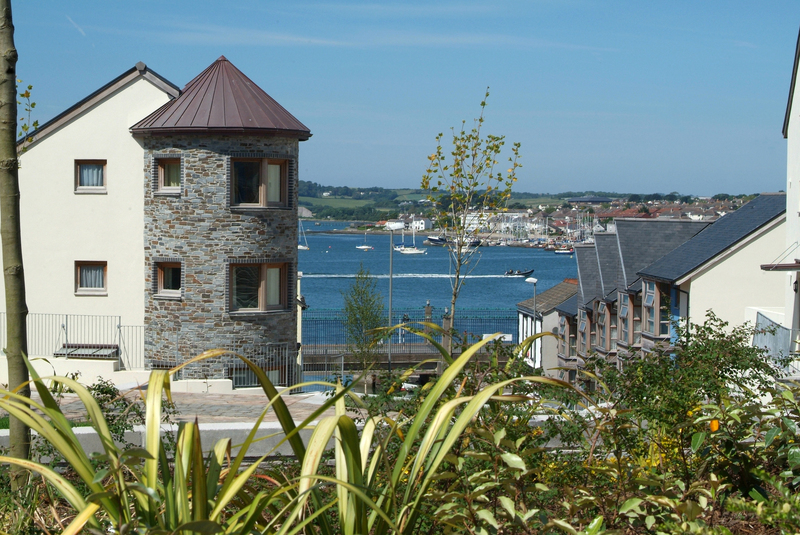 Consisting of 99 dwellings, with 35 homes for sale, 46 for rent and 18 shared ownership, it sits on a stepped terrace overlooking the River Tamar. The layout was inspired by Georgian town planning, based around a central circus which provided a visual and community focus. 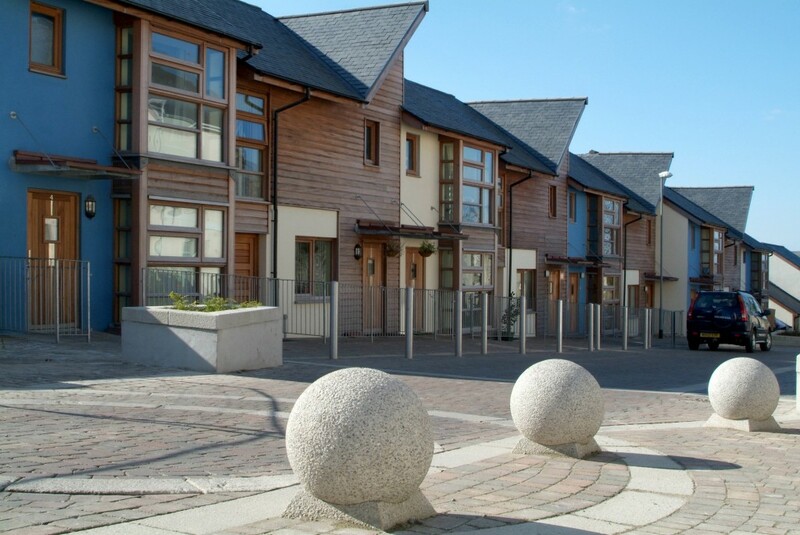 Streets and squares were designed as a Homezone, the first for a new build project in the UK. Surfaces are level, vehicles are limited to 12 mph, creating a safe environment around the accommodation. Parking is angled at 45° along the central avenue, on-street around the circus, and in bays along the entrance road. The scheme retains original elements such as cobbled streets, and new textured surfaces help define parking bays and boundaries without the need for raised curbs and painted lines. A simple palette of materials used in the design of the buildings echoed the ordered nature of a Georgian terraced street. 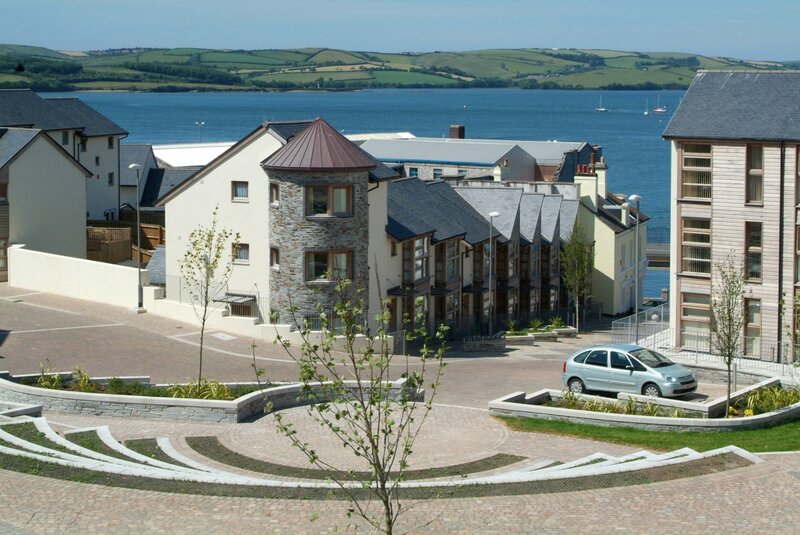 Timber windows and cladding were successfully used to invoke the historic quality of the area and the nearby dockyards. 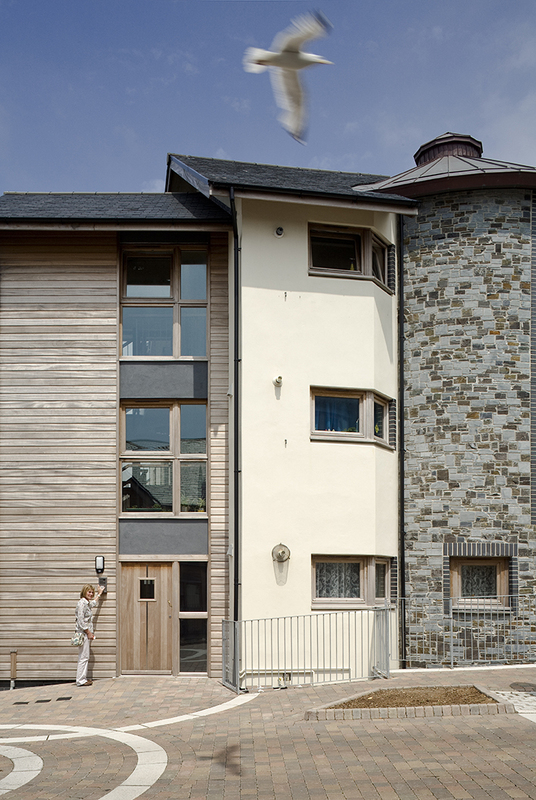 Distinctive pitched slate and copper roofs were also used, all materials which would age attractively. 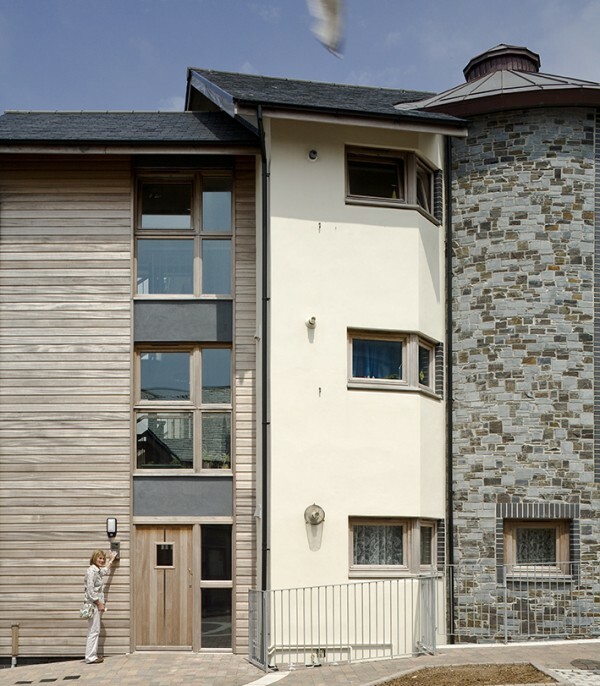 Internally, to maximise waterfront views and links to the water, plenty of bay windows were fitted so residents could enjoy glimpse views of the street and water beyond. The rooms have all been generously proportioned even in the compact four-bedroom houses where the ample ceiling height made for very attractive living spaces. 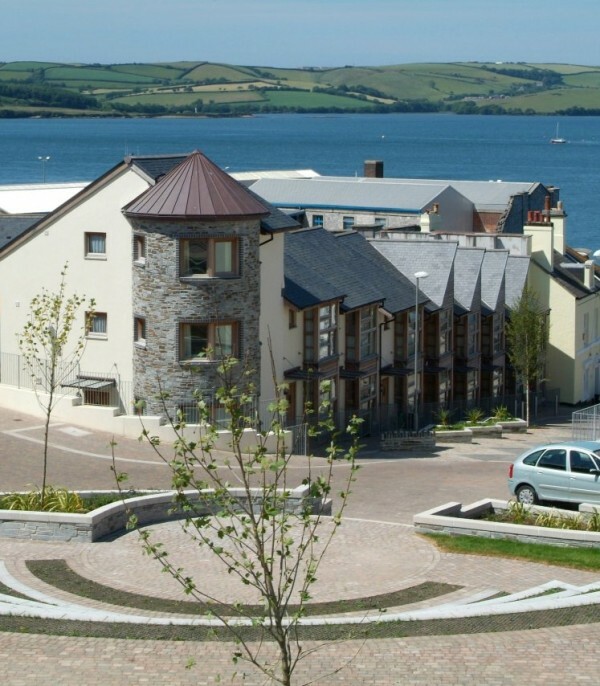 The scheme was based on a city-wide regeneration planning framework, with a coherent area plan that promoted waterfront development and the creation of a new district centre to enliven the neighbourhood. 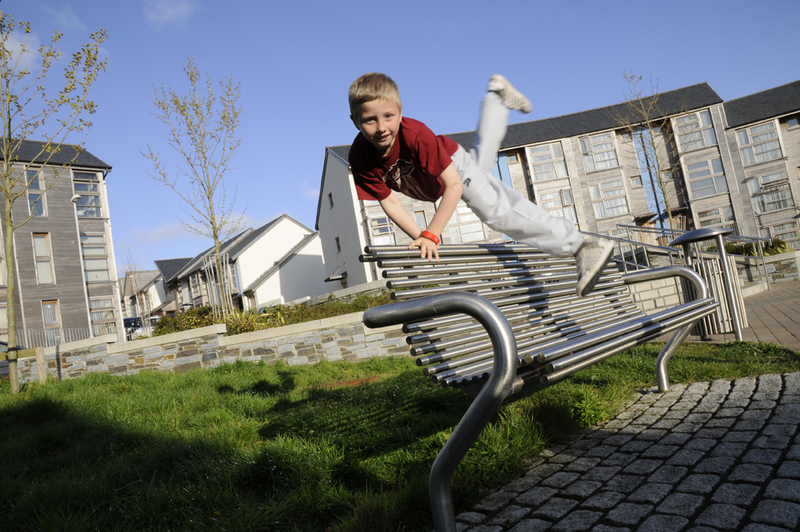 The vision for success was achieved by a clear, overarching planning context which encouraged investment to create a high-quality environment that would balance housing supply and achieve the wider economic and social regeneration of the area. This has been taken forward into subsequent LHC developments in Devonport, including another major regeneration project centred on the Ker Street area, and the final piece n the redevelopment jigsaw at Granby Way.